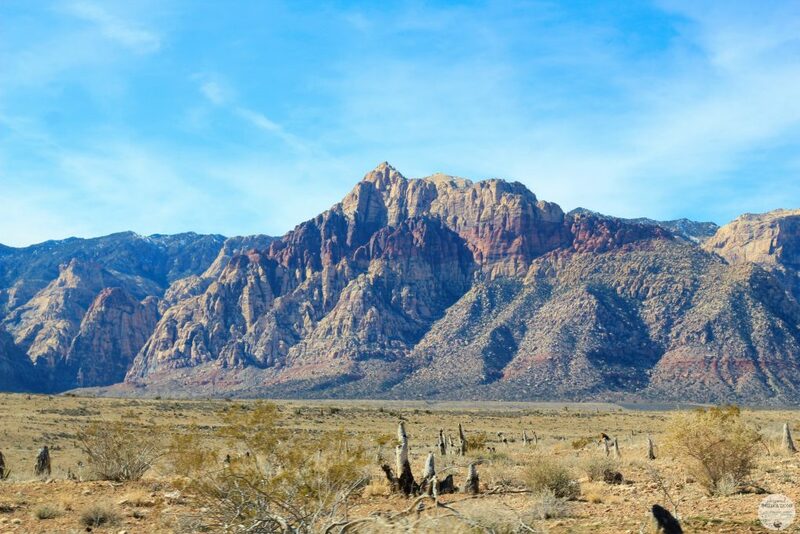 Visit the Beautiful Red Rock Canyon During a Trip to Las Vegas! 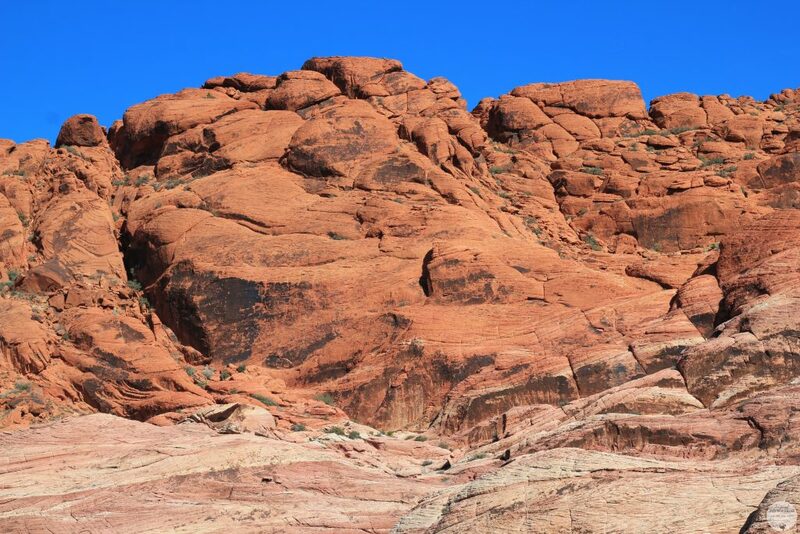 People who are visiting Las Vegas might want to get away from the bright lights and the busyness of the streets for a little bit and they can do that if they visit Red Rock Canyon. Red Rock Canyon is only seventeen miles west of the Las Vegas Strip, so this is an easy place to go for a few hours or an entire day. When we went to Vegas, we did just that. After renting a convertible Chevy Camaro for the day, we set off to explore the beauty away from the flashing lights and signs of the strip and check out what the surrounding areas had to offer. 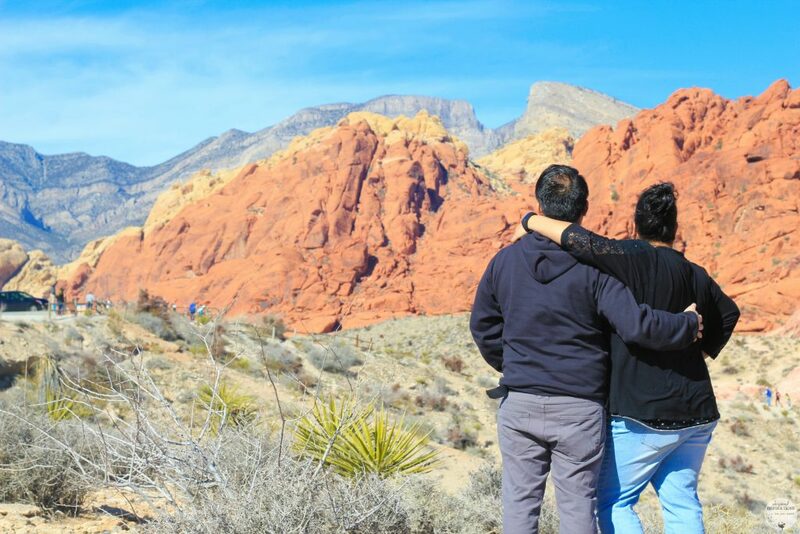 It turns out that at the end of our trip, it was one of the best decisions we made and we absolutely loved exploring Red Rock Canyon, read on to see exactly why. Over two million people visit the gorgeous Red Rock Canyon every year in order to see nature amongst a city that offers everything else but nature. Red Rock Canyon was designated as Nevada’s first National Conservation Area back in 1990 in order to preserve this beautiful outdoor space. 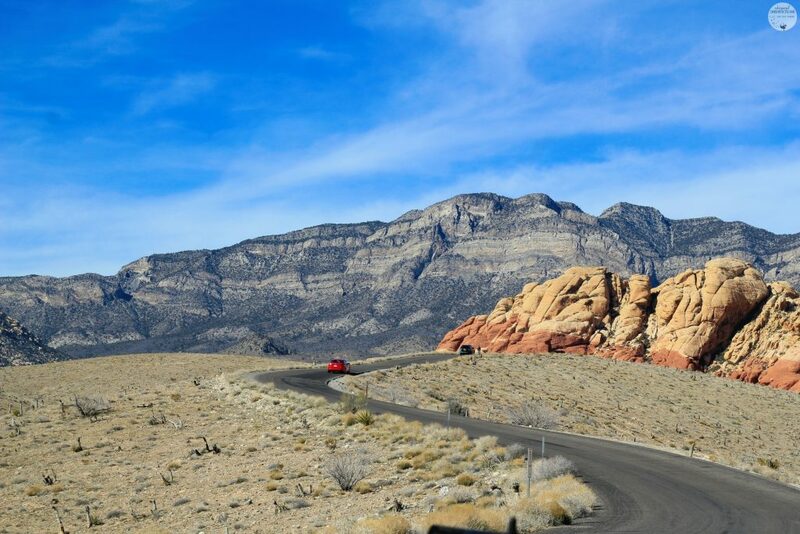 Once people reach Red Rock Canyon, they will be able to drive along a thirteen mile scenic route and see many of the geological wonders of the canyon. The Aztec sandstone cliffs top off thousands of feet in the air and are at least 180 million years old. Some of the sandstone has turned red due to oxidation of certain elements. Just northwest of the scenic route at LaMadre Mountain, visitors will be able to see gray Paleozoic limestone that contains fossils of sea life from 250 million years ago. There are multiple hiking trails at Red Rock Canyon and each one varies in distance from less than a mile to six miles in length. Younger children will be able to do the three-quarter mile hike of Lost Creek where they will learn about the different features of the Mojave Desert. Anyone who is looking for water inside this immense desert will want to hike the White Rock La Madre Spring Loop. This six-mile hike will take people to the La Madre Spring after walking through a secluded area of the canyon. Visitors who are a little more adventurous will want to partake in rock climbing, mountain biking or horseback riding along the canyon trails. There are many different tour groups and guided tours available for guests who want to do these activities within a group setting. For some quiet time during the day, Red Rock Canyon offers tranquil picnic areas and observation areas. People can take picnic lunches and eat while sitting on the edge of the canyon, to the side of the trail or at a picnic table. There are both indoor and outdoor exhibits available at the visitor’s center, so that visitors can learn more about the history of Red Rock Canyon before or after they have been exploring. We were blown away by the immensity of it all. The colors, the majestic feeling of the rocks–it was incredible. Most people will be amazed at how a place of tranquility and beauty can be found within such a short distance from a major city. Red Rock Canyon offers everyone a way to escape from the big city to enjoy the spectacular sights and sounds of nature and the great outdoors. 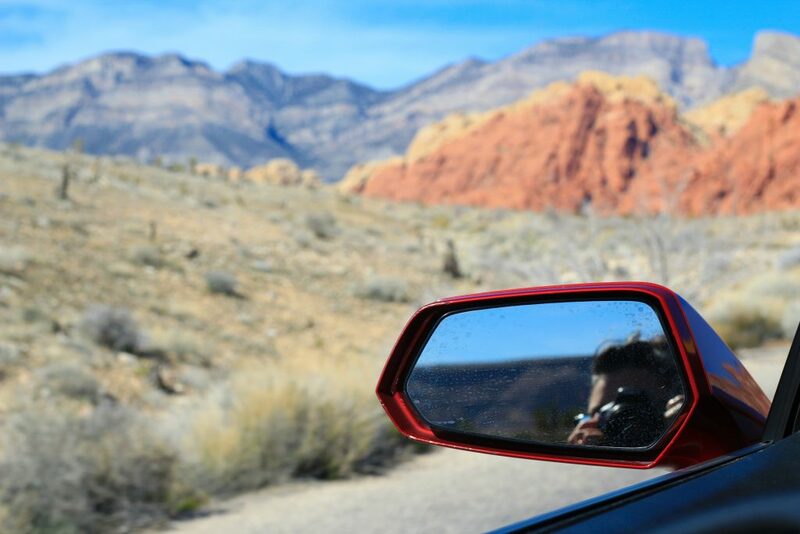 Having spent time in the city that doesn’t sleep, I have to say that my most memorable moments in Las Vegas was going through Red Rock Canyon, mouth ajar with awe and wonder and wind blowing in my hair. If you are visiting Vegas, make sure that you stop here. It’s an absolute must and you won’t regret it, you can thank me later. For more information, visit their website, here. Previous Post: « The Fall Fashion Essentials You Need This Season! #FallLooksForLess with #George! I have never been to that area but it sure looks beautiful ! Oh wow! I flew over this canyon several times but have never actually visited it. I definitely will be putting it on my bucket list!